When my dad became sick and moved in with us, I officially joined the Sandwich Generation, which, for me, meant I then had two jobs: caring for Dad and for my two boys. Tending to both my kids and my father was hard; like many people who find themselves raising their children while suddenly caring for their own parents, I was not prepared for the emotional and logistical challenges. Coined in 1981, the term “Sandwich Generation” once described women in their 30s and 40s taking care of their aging parents and their children. Now, according to a 2013 Pew Research Center report, 47 percent of men and women between the ages of 40 and 65 years old do the same. In my family, there were difficult times, tears and some amazing moments. I can say that considering some of the ramifications and common issues will help you plan for a sandwich scenario. Here are some questions to think about. Before caring for her own aging parents, author Virginia Morris wrote the first edition of her book How to Care for Aging Parents. Now, with the book in its third edition, Morris has talked to thousands of parents and children all over the United States. She found that we basically face two themes when taking care of our parents and our kids: stress and joy. One is the constant daily friction between what we have to do for our parent(s) and what we have to do for our kids: Do I take Mom to her doctor’s appointment or go to see my daughter’s soccer game? “You are constantly feeling like you are not doing something that you should do,” Morris says. She also discovered that, on the plus side, people found their kids learned from the experience, and their relationships with their grandparent grew stronger. My own sons and their grandfather spent more time with each other once I moved into a caregiver role for him. They even took him to appointments and out to eat. Typically, caregivers might not realize how stressed they are, because they are just handling each crisis as it comes. But all these emotions are normal. 2. Wait, am I the parent now? As a caregiver, you sometimes have to make decisions for your parents because they can’t. They may be too sick. They may be confused or disabled. These life changes will be hard for you, but they can be even more difficult for your parent, especially the loss of independence and familiarity. But don’t fall into the trap of thinking that you are now their parent. It’s a dangerous mindset, says Morris. “You are not the parent. Your relationship has shifted, but you are always the daughter or the son.” Remember, no matter how frail your parents get, Morris says, treat them with respect and dignity. Be compassionate and tactful about even the most fraught issues. “You have to remind yourself that they are not children, and that they are actually sick and can’t do any better,” Morris says. It can be a very confusing, but maintaining this mindset will help. 3. Why do I feel so guilty and resentful all the time? Everyone feels it: guilt and resentment. Exhaustion. A desperate desire to return to normal. You might even wonder when it will all be over. Sometimes, your parent’s helplessness might make you angry. Typically, caregivers might not realize how stressed they are, because they are just handling each crisis as it comes. But all these emotions are normal. 4. How do I take a break when I have so much to do? Taking a break can be very challenging, especially if you have young kids and a lack of backup care or support. Some people can schedule short-term care options, such as adult day care, a home health aide, a daily visit from a friend or family member. In many families, siblings or extended family members can help. I was lucky: My siblings were near and helped with my dad while he lived with us. My dad’s best friend would take him to breakfast every week, giving me an opportunity for a break and to get things done. But others may not be so fortunate — siblings may live in other states or work full-time. Sometimes, relationships between siblings are fraught with old hurts or disagreements over the parent’s care. But whatever it takes, work hard to take those breaks, for your sanity and your parent’s. Read the author's personal story of being sandwiched in the middle and coping with her parents' illnesses. 5. My siblings and I have issues. How can I count on them? Try to remember that you all haven’t lived with your parents for many years. You aren’t children anymore; in many cases, the adult children have moved, gotten married, had families of their own. But now that your parents need care, you are suddenly back in each other’s lives, and not because it is a major holiday. When a parent requires care, difficult subjects such as care philosophies, end-of-life decisions and money planning must be navigated. Families will fight about anything and everything, Morris says, so it is a good idea to plan ahead so everyone can get on the same page. 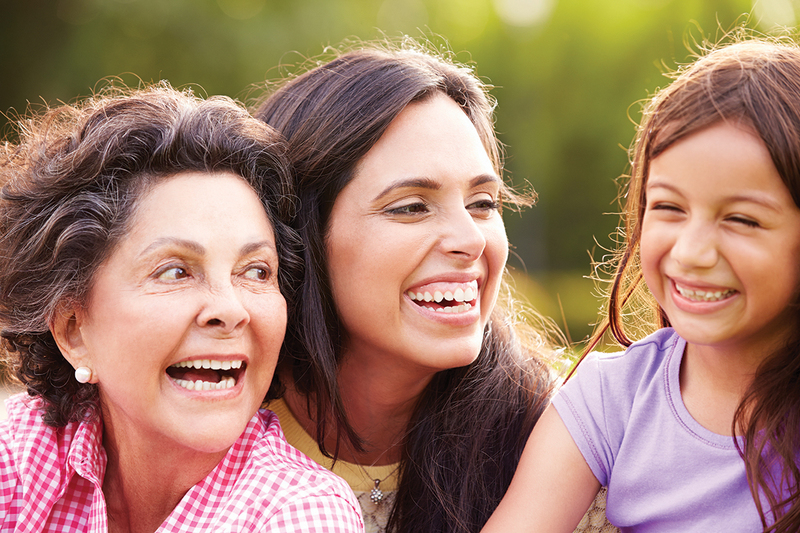 Talk together about the issues concerning your parents’ care. Where are they going to live? What kind of services will they need and are those services available? What happens when they are dying? “Once you open the door and have a conversation, it is such a relief. You can start to plan,” Morris says. 6. Should I just have my parent live with me? One of the biggest question is whether or not you can take care of that parent in your home, given his or her medical condition. Finances also play a large part in the equation. Both of my parents came from a small community with very few elder health care options, so moving them to a place where they had better services made sense. But leaving the family home and community — my parents had lived there for more than 50 years — was very difficult. Finally, what will happen when the time comes that you can’t take care of your parent? Before you decide to have your parent live with you, think long and hard about that question, too. Talk it over together. You don’t want to say, “I’ll never put you in a nursing home,” Morris says. Avoid making promises that you can’t keep, and don’t make assumptions. Wherever you are in the sandwich process, start by talking. Once you talk, it’s not that scary. And even a little planning can help.